Clan History:The Obutsu Clan is a Clan whos members mostly come from ether Iwagakure or Sunagakure. This clan is quite hidden, only few known about it, due to the fact that not many members of this clan are still alive. They mainly specialize in the art of silent and quick assassination. They use special and unique techniques which gives them resemblance to scorpions. All of them have brown-gray (or similar) color of eyes. Due to the fact that they live in the canyons of Iwa and the deserts of Suna, all clan members have maps of those two locations perfectly memorized. The origin of the clan goes waaaay back into the past of the shinobi world, all the way to the era when there were no ninja villages. At that time, every country had numerous ninja clans who fought each other for glory and wealth. Each time when one person hired one clan to help him, the other person would hire another and so wars were a constant thing. Among this groups, there was a rather small group of shinobi with a unique Kekkei Genkai which never fought in any war, they were the only peaceful ones. Most of the other, much famous clans, never heard of this group since they were of no interest to them. But, whenever someone tried to kill the members of this group, they would utterly fail. Soon, clan after clan tried to destroy this group, but all were defeated. Slowly, this group gained more and more members, as they were growing famous and growing in the terms of strength. But, that was when the downfall of this clan had just started. Due to their newly gained fame and glory, some of the members of this clan wanted to join the wars in order to gain even more strength and glory. The numerous gifts of the people who lived besides this clan, the people who this group saved a lot of times, they made some of the members of the group thirsty for wealth. They were so eager about it that, one day, they decided to leave the clan compound, in order to rob the people who gave them gifts in order to buy themselves a country. That indeed was a weird idea, but, the thirst for power and wealth guided them in such a wrong way. When the rest of the members found about it, they tried to go after them and try to stop them. But, they were too late. By the time the rest of the group arrived there, together with the leader, they found the whole village destroyed and in ashes. In front of them, the rogue group stud, on their knees. Due to the trouble they made, the rogue group was banished by the rest of the group. Everyone, except a single person voted for them to be banished to another land. This one person was the first group leader. He did not wanted for them to be banished, taking pity upon the poor misguided fools. So, he decided to go with them, in order to make sure they were safe. Before he left, the new leader was selected and so two fractions of the same group were formed. The original group joined the rest of the clans of that land to create the village of Iwagakure, making the canons of the Land of Earth their eternal home. Over the years, and up until this day, the members of this clan stayed as a secret of the land in which they lived. Only a few members actually revealed to the rest of the world their ability to use Dust Release, but those shinobi were not associated with this clan, so with the death of the Tsuchikage [the one from the anime] the ability to use this element was thought to be lost. Nobody knew about the Obutsu Clan. Unique Traits: Brownish gray eyes and dark hair. They are also able to utilize three elements with their bloodline instead of just two. Dust Release (å¡µé, Jinton; Viz "Particle Style") is a Kekkei Tota. The jutsu are created by combining the earth, wind, and fire natures. This element allows the user to manipulate molecules, giving them the ability to turn anything into molecule-sized dust. It seems that techniques of this nature are initially in the form of a three-dimensional solid object (e.g. a cube, a cone, etc.) and a sphere contained inside it, both composed of Chakra, which form between the user's hands. Weaknesses: Jinton is a naturally strong clan, in fact it is said to rival the strongest clans of old. It consists of 3 separate elements. Katon, Fuuton, and Doton. Making it effectively weak against everything, and yet nothing at the same time. Its due to the cyclical nature of it all. As such, Suiton and Raiton techniques of a rank higher are enough to stop Jinton moves (If a Jinton move of B, requires an A rank Raiton/Suiton rank to effectively block) Fuuton, Katon, Doton moves require two ranks higher to effectively block Jinton (B rank Jinton, S rank Fuuton, Katon and Doton). Chakra Enhanced Weapons can also block Jinton moves up to a point, A rank to be precise. However, weapons deemed of legendary status can block as high as S rank, but such weapons are extremely rare. Restrictions: Only three active members at a time. Must also have admin approval before creation. Description: After performing the hand seal, the user slams his hand upon the ground, causing a cloud of dust to rose up. This jutsu is used the same way as the famous Kirigakure no Jutsu, the only difference is the element, can be seen through by Hyuuga, but not Sharigan. Drawbacks: It can't be used on water. 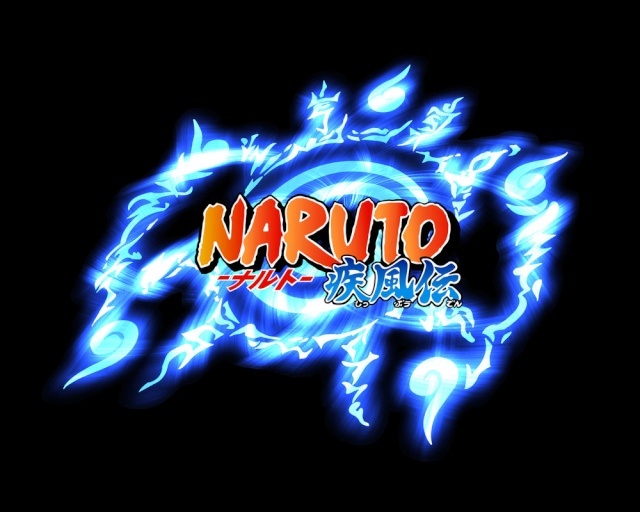 Description: After performing the required hand seals, the user releases his Jinton chakra, making it take the shape of a clone which looks just like the user. But, unlike the regular Bunshin no Jutsu, this clone is somewhat solid. It can not deal any damage nor can it use weapons or Jutsus, but it can do paperwork and talk to other peeps. Also, unlike other Clone techniques, this one will not vanish if the user is miles and miles away. When it vanishes, the user will get his memories. Drawbacks: Max amount of clones is 4 per Jutsu usage. Drawbacks: The muscle which gets caught by this can easily be healed with some medical technique and, to even use this technique, the user must touch the target. So, actually using it is quite hard. Oh and it can't do anything except lower ones constitution/strength and it doesn't work if the user touches the head of the foe. Description: This is a special Obutsu Clan Technique which allows the user to trick the foe into thinking that he/she is actually a fake. After forming the required hand seals, the user releases his advanced element chakra, making it swirl around him. As it does this, it turns some ground into brownish dust particles, which then continue circling around the user. For the foe, it will seem as if the user gained some weird aura. For it to form 2 posts in RP are required. While this jutsu is active, any weapon or puppet which touches the cloud of dust will get turned into dust particles and turned back into its original form at the opposite end of the cloud, missing the user. This is how the technique got its name, it makes it seem that things are passing trough the user, as if he was ghost. Drawbacks: In order for the user to keep this technique active for longer periods of time, he needs to use up a C-Ranked amount of chakra each additional turn. The very same legendary technique that nearly killed Uchiha Sasuke, this variant of Genkai Hakuri has only been seen utilized by the fourth Tsuchikage, Onoki-sama. It requires an intense level of chakra control and the highest mastery of one’s native bloodline. Genkai Hakuri can only be utilized by ninjutsu masters. After forming the required hand signs, the user of Genkai Hakuri - Rippou extends their hands before themselves and focuses their Jinton chakra into the form of a cube. In the center of the geometrical shape, a small sphere of raw, extremely compressed Particle Style energy is created. The user aims the shape and fires it at the target. The speed of the cube is intense, the only recorded ninja to have avoided it being Madara Uchiha without the hindrance of Susano’o, likely on the same tier as modern day taijutsu masters. Upon reaching the target, the cube expands and locks the target within. The walls of the cube itself are impenetrable to all technique save space-time ninjutsu. When activated through a pulse of chakra that lasts as long as a single hand seal, the sphere within the cube detonates, and disintegrates anything within the shape down to a monomolecular level. The walls of the cube itself contain the blast, preventing it from wreaking havoc in an uncontrollable scale. Two variants of this technique exist, at varying levels of power. Both variants must be purchased separately. The first variant is a much smaller version, requiring an A rank amount of chakra (modified by varying levels of ninjutsu mastery). This is the same technique used against Uchiha Sasuke. It creates a cube measuring approximately two meters on any side. The second variant is the same technique used against Uchiha Madara in the battle of the five Kage. It creates an exponentially larger cube, noted to have encompassed twenty five wood clones, all of which had manifested the legendary Susano’o. This requires two S rank amounts of chakra (modified by varying levels of ninjutsu mastery). Both variants may be split into smaller cubes, allowing for techniques to be directed through the gap, or a myriad of other uses. This technique is still subject to Jinton's native bloodline weaknesses. Member limit:(All clans will be available for anyone to join, but you can set a limit on how many people may join between 2-8. No one may have more than one character in a single clan.). This is almost a direct copy from LR. Unless you have permission from the creator I can not allow this. Glad to see you joining the site though!